As flores de Sakura estao quase saindo. As arvores foram plantadas ano passado nesta mesma época e parece que se acostumaram com o quintal. Not really a summer project, but my daughter had been bugging me for a while to make a video and yesterday, she made a clay version of the whole family. So I decided to help her making a short animation (which can be seen below). Yes, I know it is rough, but it is her first creation and looks like she will be the whole afternoon creating the rest of the story. I just hope she can do it by herself. So, here is the question: Are we teaching conformity? How can we effectively make our students think out of the box? I’ve been trying to convince them that it was not good to build a house so close to my front door. But after two weeks, I gave up. Just because I have nothing to do I decided to build a little storage in the back yard. The storage is 2.70 meters wide by 1.80. The wall studs are 2.10 and the roof … I don’t remember. Today was the third day working on it and I decided to take a picture before finishing so people will actually believe I am building it. By the way, I was being sarcastic in the first paragraph. After my fat PS3 broke I was avoiding buying a new one but this Yamada Denki’s price was unbeatable. Now I can finnaly play the Yakuza 4 that my brother gave me. Tive que vir até a Koreia do Sul pra encontrar. 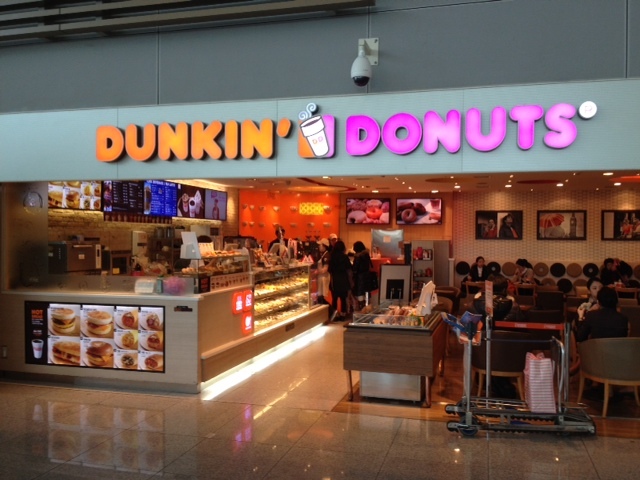 Na minha época Dunkin Donuts não tinha lanche… era só Donuts.